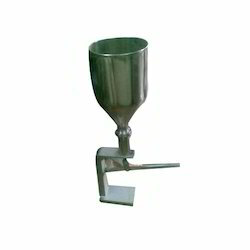 Keeping a tab on the changing trends and requirements of the customers, we bring forth compactly designed and heavy duty Tube Filling Machines. Made from best grade material using sophisticated technology, these machines are suitable for filling content in plastic, metal and laminated tubes. Precision designed, these semi- automatic/automatic rotary tube filling, crimping & coding machines are ideal to be used for collapsible aluminum tubes single /double head. 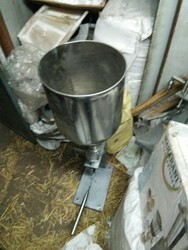 10- 100 ml filling for hand operated machine . Backed by our rich industry experience and expertise, we have been able to provide superior range of Oil Filling Machine to our valued clients. 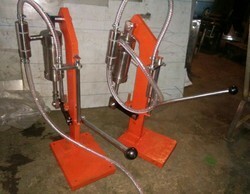 Designed in conformation with international quality standards employing sophisticated techniques, these machines comes assembled with volumetric piston operated filling system that is used to pack viscous and oils. 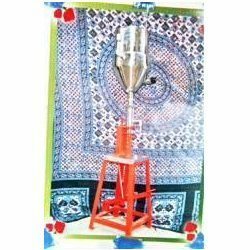 Available in different specifications, these machines finds their extensive usage in Paints and Pharmaceuticals industries.